This is the most recent information about Belinda Carlisle that has been submitted to amIright. 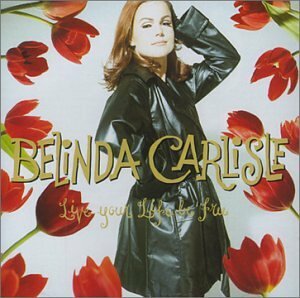 If we have more information about Belinda Carlisle, then we provide a link to the section where it appears (the actual page whenever possible). "Runway Horses" originally "Runaway Horses"
"Runaway Hoses" originally "Runaway Horses"
"Mad About Yo" originally "Mad About You"
"I Lead Insanity" originally "I Plead Insanity"
"Half The Word" originally "Half The World"
"I Get Tweak" originally "I Get Weak"
"Heaven Is A Placer On Earth" originally "Heaven Is A Place On Earth"
"Heaven Is A Place On Hearth" originally "Heaven Is A Place On Earth"
"Heaven Is A Palace On Earth" originally "Heaven Is A Place On Earth"
It must be up on the Himalayas? Mt. Everest? "Runaway Houses" originally "Runaway Horses"
"Sad About You" originally "Mad About You"
"Circle In The Band" originally "Circle In The Sand"
Might that be a drum? "Mad About Lou" originally "Mad About You"
"Halt The World" originally "Half The World"
"In My Wildest Dreams" "In Our Wildest Dreams (Election '16)" Robert D. Arndt Jr. I don't think they were related, though. The same heaven, love comes first! I'm hearing impaired, so I only hear part of what is said. We owe it all to Frank Sinatra. I remember I was in the tanning salon when I heard that River Phoenix was gone. Ooh, baby, do you know what that's worth? Ooh, heaven is a place on earth. I'm mad about you. You're mad about me. "I Plead In Sanity" originally "I Plead Insanity"
"Heaven I Sap Lace On Earth" originally "Heaven Is A Place On Earth"
"Fir Eel Fee" originally "I Feel Free"
"If Free Eel" originally "I Feel Free"
"You Doubt A Ma" originally "Mad About You"
"If Eel Reef" originally "I Feel Free"
"I Feel Reef" originally "I Feel Free"
The sun comes up in China, the lights go on in Rome. The country of China and Rome Italy. "Live Your Life Freebie" originally "Live Your Life Be Free"
"All Brays Waking My Heart" originally "Always Breaking My Heart"
My heart can't get any sleep around those donkeys! "Pi Lead Insanity" originally "I Plead Insanity"
"I Seed In Planet E" originally "I Plead Insanity"
"Heaven Is A Lace On Perth" originally "Heaven Is A Place On Earth"